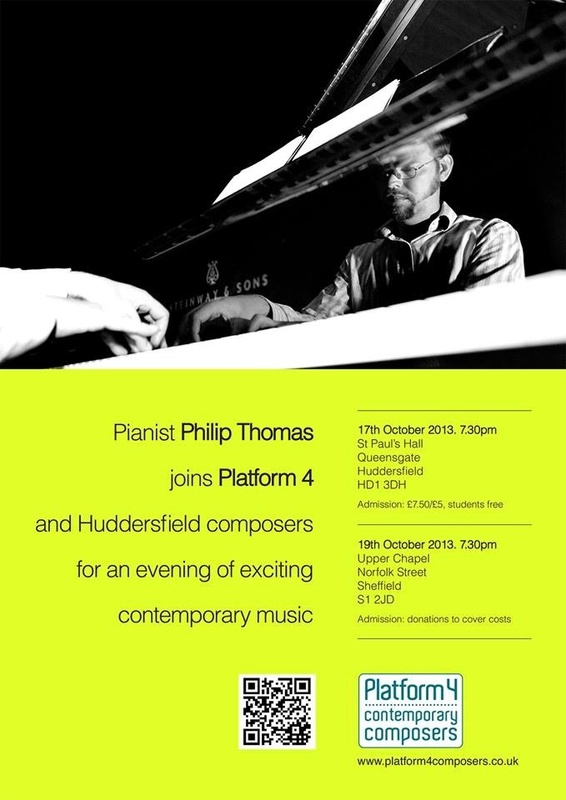 I am looking forward to hearing the first (and second) performance of a new work I’ve written called ‘Sanctum’, and another performance of ‘Desire Lines’, as part of this exciting concert in which Platform 4 have teamed up with pianist Philip Thomas and some fellow composers from Huddersfield. Also, if it’s not too late and no longer relevant, I am happy to tell you that I had a really good first rehearsal of a section of ‘Moot’ a couple of weeks ago – the piece I’m writing for Sheffield’s Endcliffe Orchestra (concert on 28th June 2014). I knew we would be limited to a forty minute rehearsal but wanted to get an idea of how the orchestra will balance once the piano (six hands) was in, so we tried out a section where every instrument has a bit of stuff to play and the texture is quite changeable and wild. As it’s conventionally notated, it went together quite easily and the players really went for it. So, with all the flurry of getting ready for the Philip Thomas concert, ‘Moot’ has been left to settle a bit so I’m keen to get back at it. I hope I can jump straight back in. Sadly, the artist whose studio I spent the summer in working on it passed away a few weeks ago. It was completely unexpected and has come as a huge shock. Out of respect for him, his approach to life, and for the encouragement he gave me, I am determined to finish it and do it well. Enough wallowing and pondering over the meaning of life… This piece will be dedicated to Keith Hayman, artist, friend, inspiration, and wearer of red trousers and other funky gear, aged 69. Sadly missed and never forgotten. Categories: Contemporary music, Uncategorized | Tags: Arts and Entertainment, Huddersfield, Jenny Jackson, Philip Thomas, Platform 4 - contemporary composers, Sheffield | Permalink.